You don’t need fancy recipes for fabulous entertaining! 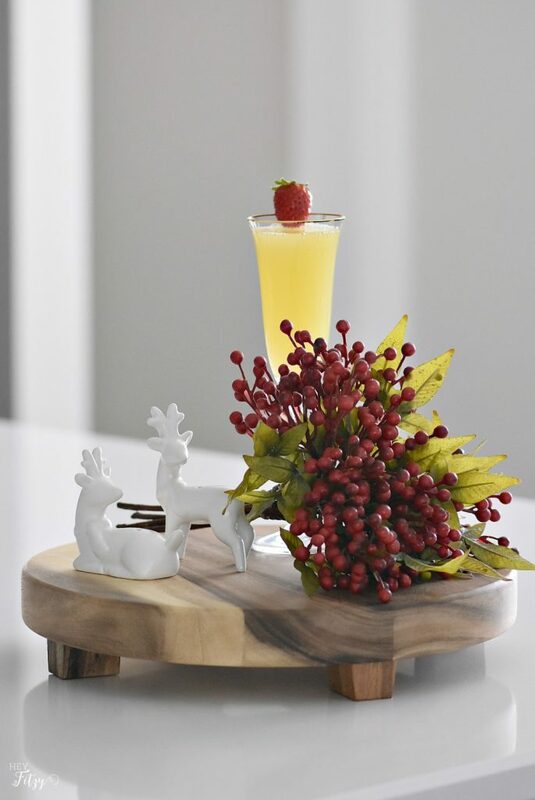 Serve this quick and easy mimosas recipe at your holiday brunch for a fun and relaxing time. 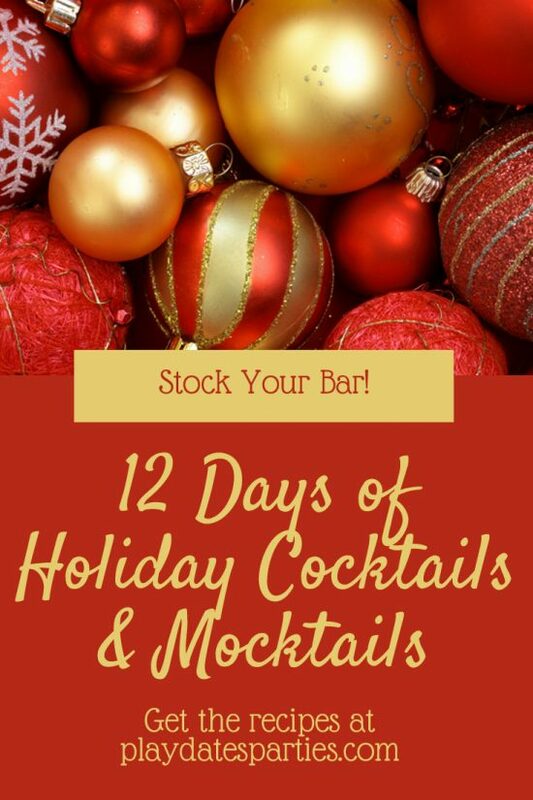 I am so happy to be over at From Play Dates to Parties as part of the 12 Days of Holiday Cocktails and Mocktails. My name is Tammy and I am a mom to four crazy kiddos and two wild dogs, all while blogging over at Hey Fitzy. May goal there is to turn chaos into comfort. When the holidays come around, I am trying to find simple recipes that just help make life easier. Over the years I have learned to take my grandmother’s advice…keep it simple. Recipes don’t need to be difficult to be fancy and you don’t need a million unusual ingredients to make it delicious. 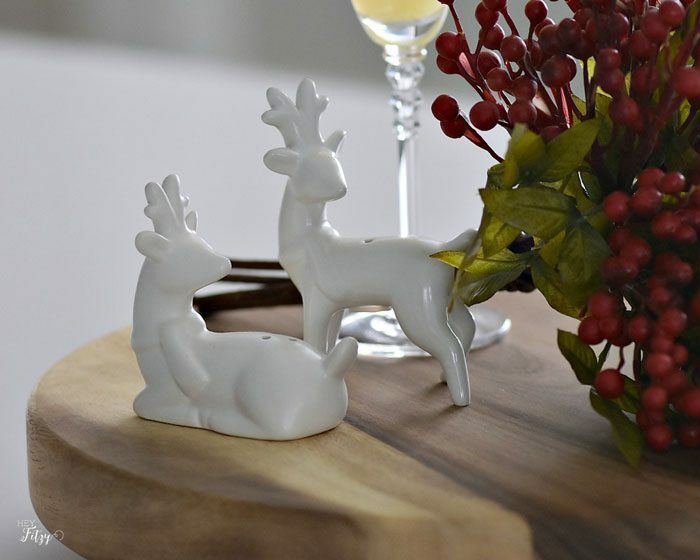 Give yourself some room to really enjoy the holidays. 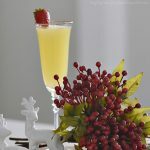 Today I am sharing a quick and easy mimosa recipe that can be whipped up in no time. You don't need fancy recipes for fabulous entertaining! 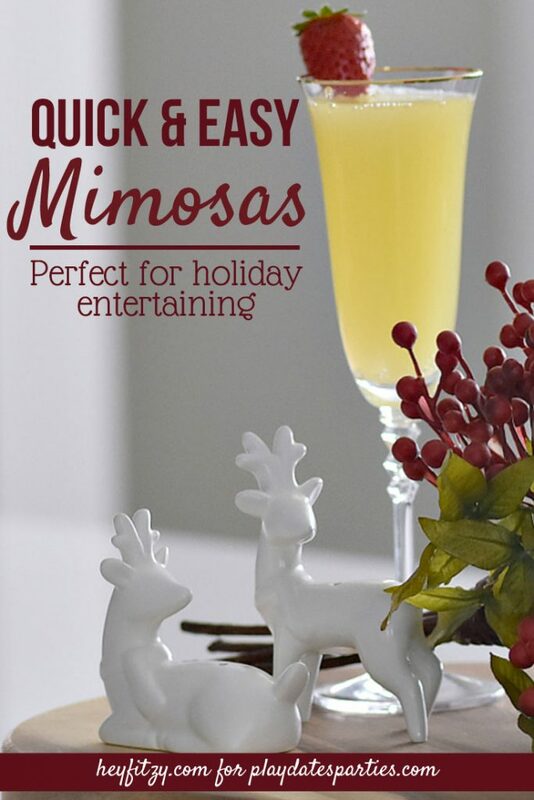 Serve this quick and easy mimosas recipe at your holiday brunch for a fun and relaxing time. Combine the first 2 ingredients. Next pour equal parts orange juice mixture with equal parts champagne/ginger ale into fancy glass. Seriously can it get any easier! It is just the right combination of light and refreshing. What I love about this recipe is that you can make an adult version as well as a kiddie version. Now everyone at the table will feel special! Now you have the perfect drink for any upcoming event. I hope you have a magical holiday season and take the time to truly enjoy the moments! At her blog, Hey Fitzy, Tammy shares her passion of transforming a house into a home, including creative recipes like Mexican Fried Ravioli, fun craft projects like DIY Acorn Garland, and home renovations like this Industrial Teenage Boys Room. Head on over today to find your inspiration and a moment of comfort. Thank you for letting me share my quick and easy mimosa recipe. 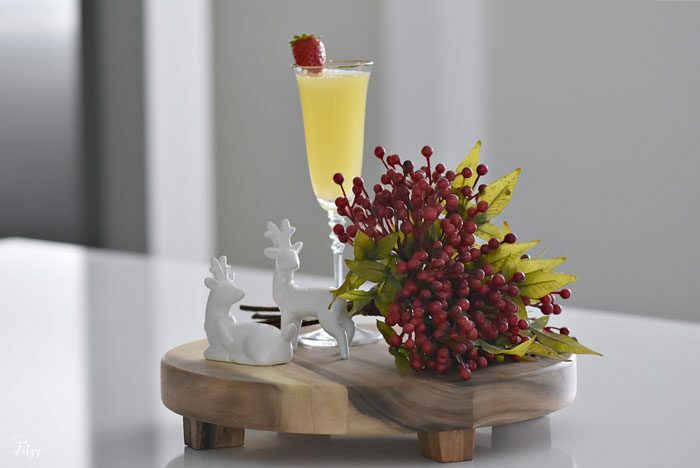 The 12 days of cocktails and mocktails is perfect for the holiday season! Hope you have a fabulous holiday season! 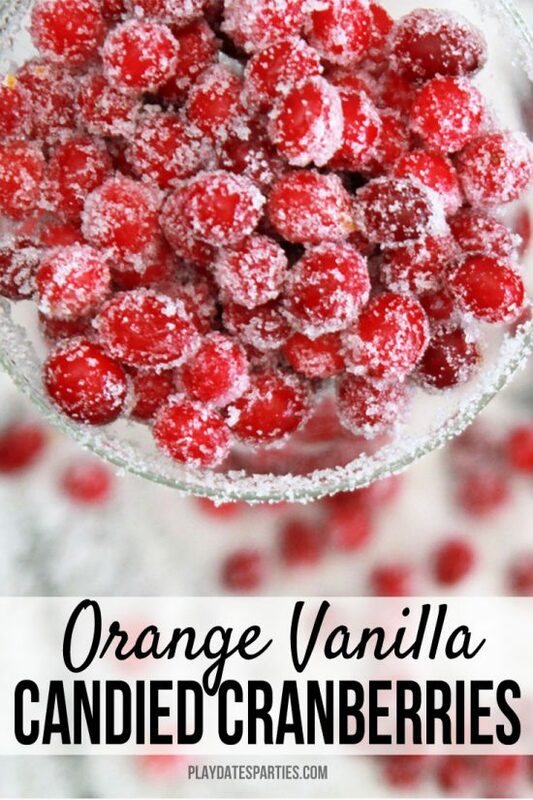 I think my kids would love the version with ginger ale, and me too!! Sounds so delicious. And I agree – simple is always best! 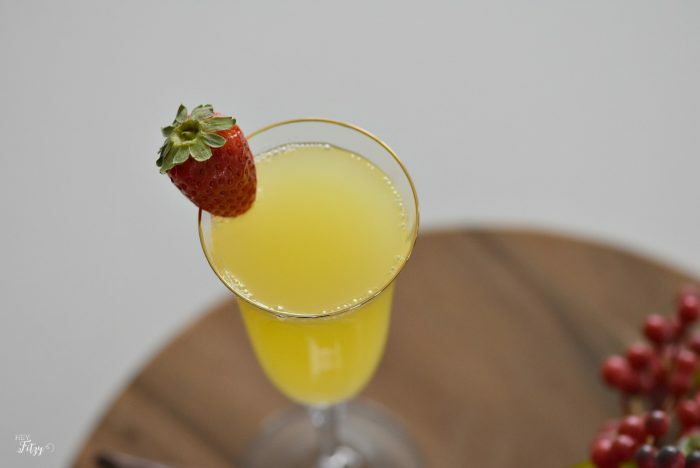 Love mimosas… And really love the idea of adding pineapple juice! Can’t wait to give this a go! looks delicious! i’ve never thought to add pineapple juice before! would be lovely and sweet against the flavour of the champagne! I’m with you! Easy is sometimes the best option! Especially for our sanity!! These photos are superior! Oh – Pineapple juice in a mimos too! I like it! Thanks for sharing at the What’s for Dinner party – hope to see your recipes next week too. Have a great week. You had me a mimosa! Yum, Sharing! Thank you for sharing on Merry Monday! Hope to see ya next week! I’ve never had a Mimosa. Thanks for sharing with SYC. Oh, this sounds so good. And I like that it is so easy. Thanks for sharing at the Snickerdoodle Create Bake Make Party.